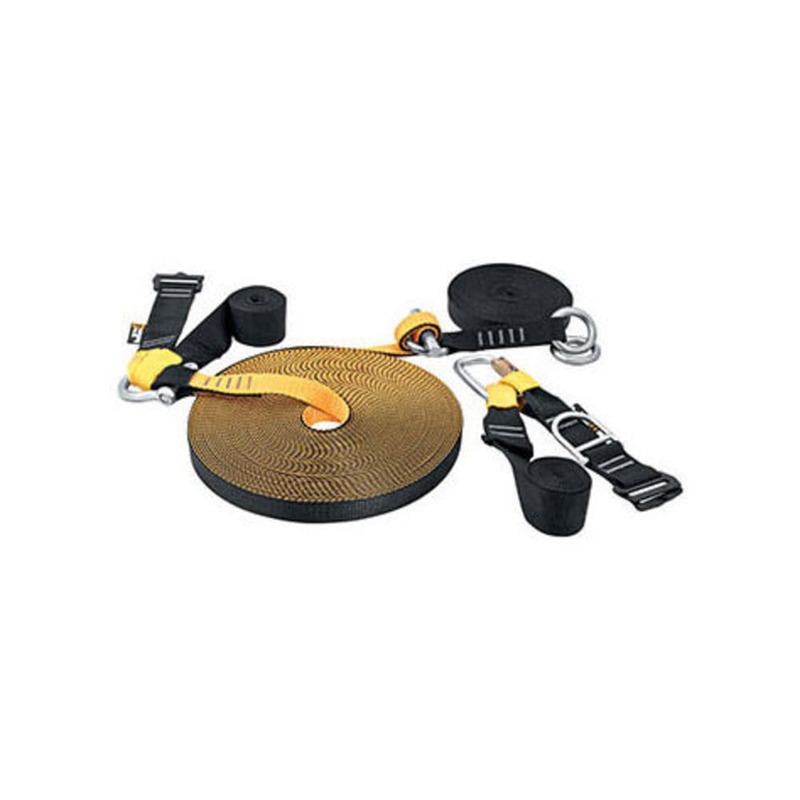 Singing Rock offers the perfect slackline package which includes webbing, a ratchet, and slings with Rock&Lock smart buckles; great for easy set-up in your backyard, at the local park, or at camp on the next road trip. Note from Singing Rock: This slackline is intended for use near the ground (max height of anchor points is 1 m / 3.2 ft.). Never use this product as a highline.